Elizabeth Macregor is a Welsh woman who has been jailed for twelve months for stealing hundreds of books from the library she works at in Hirwaun, Wales. Employees at the Pontypridd Library in Rhondda Cyon Taf said they had noticed many titles going missing over the course of a few months. When Macregor’s home was searched by police, they uncovered many hundreds of books that she was attempting to sell on eBay. Books were lying around the house in boxes, in recycling bins. 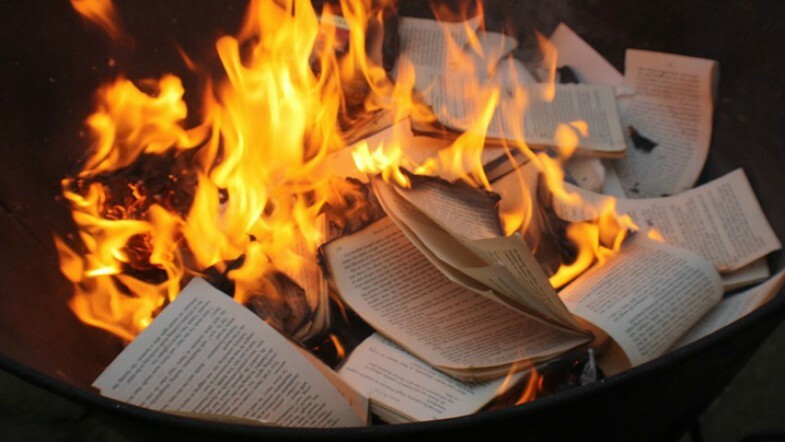 Some were burnt, showing evidence that the librarian had attempted to obstruct the course of justice. The book that was stolen that angered her employers and Judge Twomlow the most was John Miller’s Aberfan: A Disaster and Its Aftermath. The judge described the book on the Aberfan disaster as “more valuable in historic and cultural terms than financial” and was glad it was “mercifully” undamaged. He also exclaimed that “any matter involving a breach of trust is treated very seriously.” Aberfan is so near and dear to the hearts of Welsh people because it was a disaster that happened in 1966. Over 116 children and 29 adults were killed. A National Coal Board (NCB) colliery spoil tip collapsed and slid down a mountainside in the form of slurry, which engulfed the local primary school and its surrounding buildings. The 57-year-old woman is being made an example of by the courts for disrespecting her career. Did the judge get it right? What do you think?